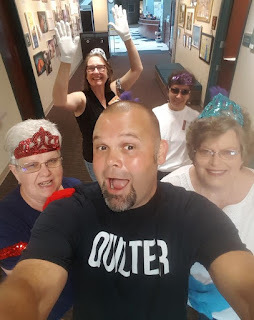 Can I tell you how much fun it has been seeing so many quilters enjoying their first clue for my very first online mystery quilt, "Sapphire Stars"? Thanks to all of you who are playing along! I am overwhelmed by your compliments thus far, and I hope you continue to forge ahead with each glue that is given. Many have asked how many clues there will be, and when will the mystery conclude? Right now, I am thinking 4 clues, and perhaps a surprise clue thrown in at some point? So, an Octoberish, Novemberish finish? There will be a new clue near the end of this month around the 27th. Again, there may be a surprise clue within the next few months.......stay tuned. Amber Stars by Libby at Life on the Hill. I have also seen a version of Chocolate Diamond Stars by Gina in Missouri. 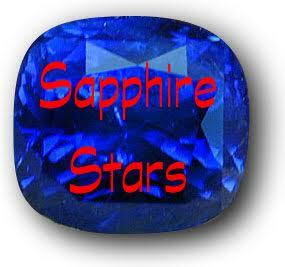 Not to mention the MANY quilting friends in blog world that are making "Sapphire Stars" like I am in blues. 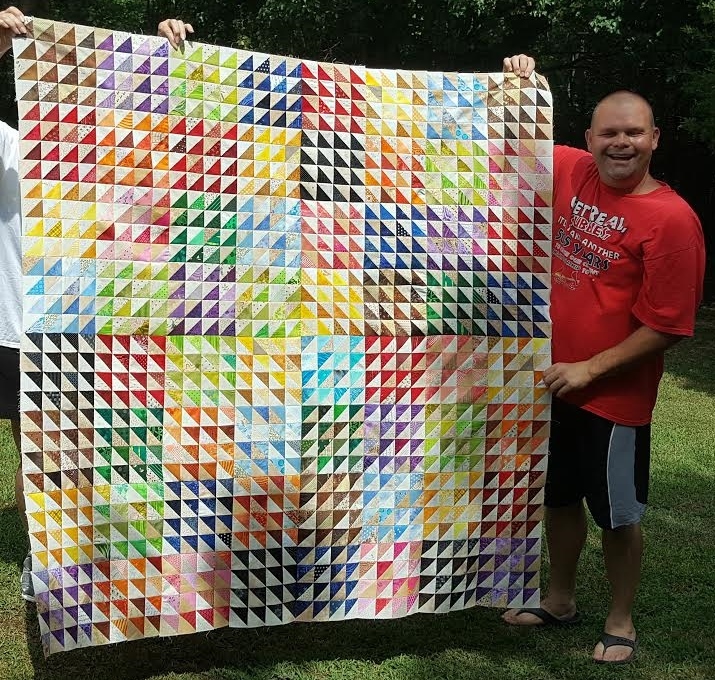 This mystery quilt has landed in Germany, and Australia too! I have heard through the grapevine that several guilds are playing along with us in this mystery. 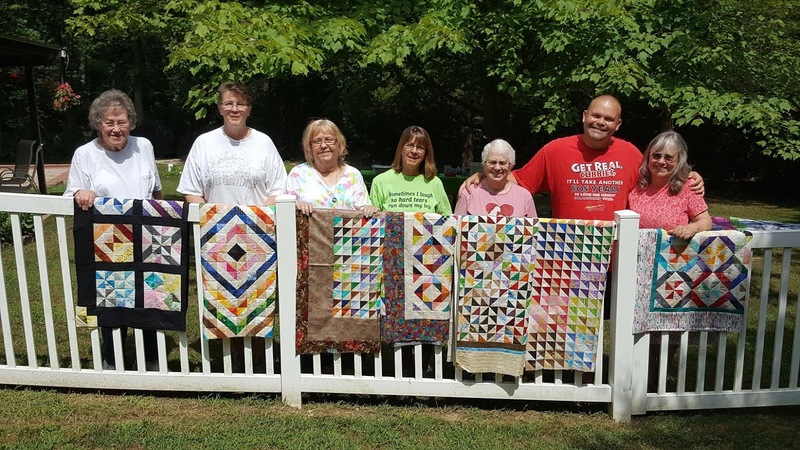 To all of you, THANK YOU for participating in this mystery quilt! 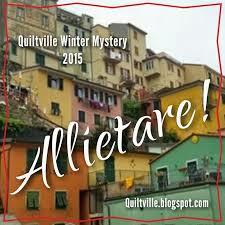 I truly think you will love your final quilt after the last clue is revealed! 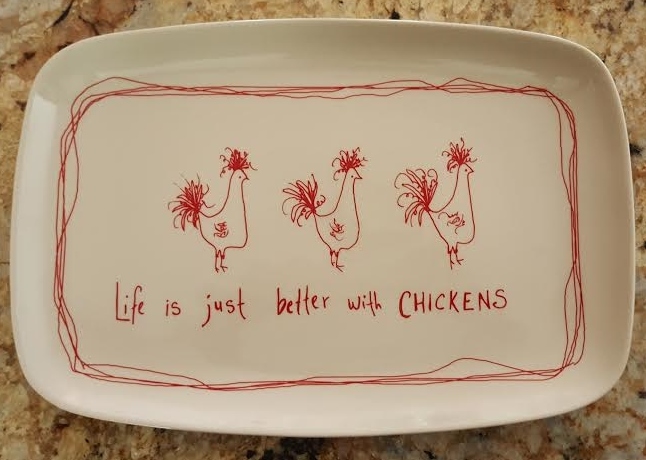 At least I hope you do! If not.........donate it! You know how much I support sharing your work with others! I also want to thank my friend Heather of Peachy Pages for offering to help me transform each clue into pdf format. I realize several of you would like to be able to print out the clues, and she is helping this NON TECHIE quilter to get that done for you! I can't thank you enough Heather! 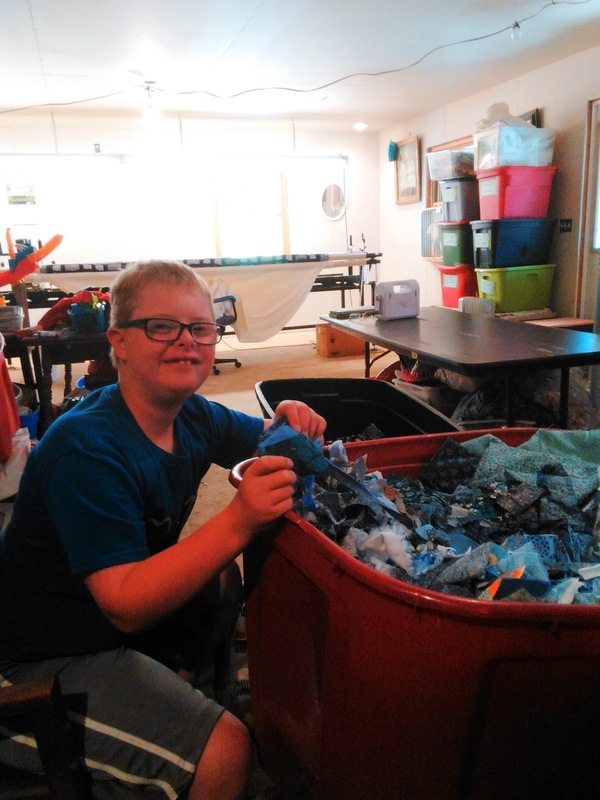 I just have to share with you all some photos that have came in from our scrap organization that is hopefully taking place in sewing rooms and studios across the globe! WOW! Look at that tub of blue scraps! helping her sort her scraps! just like her namesake, my Great Aunt Mae did! LOOK AT THOSE BAT EARS! What else has been happening this summer in my world? 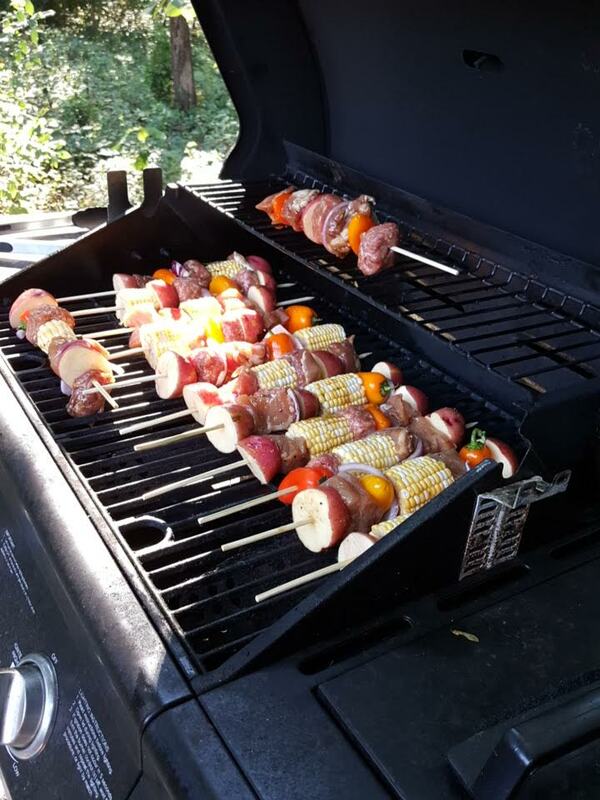 Bev and Tom for giving this nice grill to me! Sophia Annabella loves to be outside in the summer too! Could this 10 year old baby get any cuter????? I love her so, so much! Here I am with Huffman's Hotties! Huffman's Hotties made another appearance there! in various posts the past year or so? and used the birthstones of each month to be our color pallet. day of half square triangle quilt top reveals! Here are several participants along with myself. Some participants weren't able to join us this day. 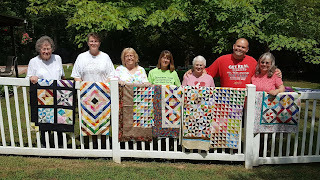 My friend Mike helped to display the quilts. 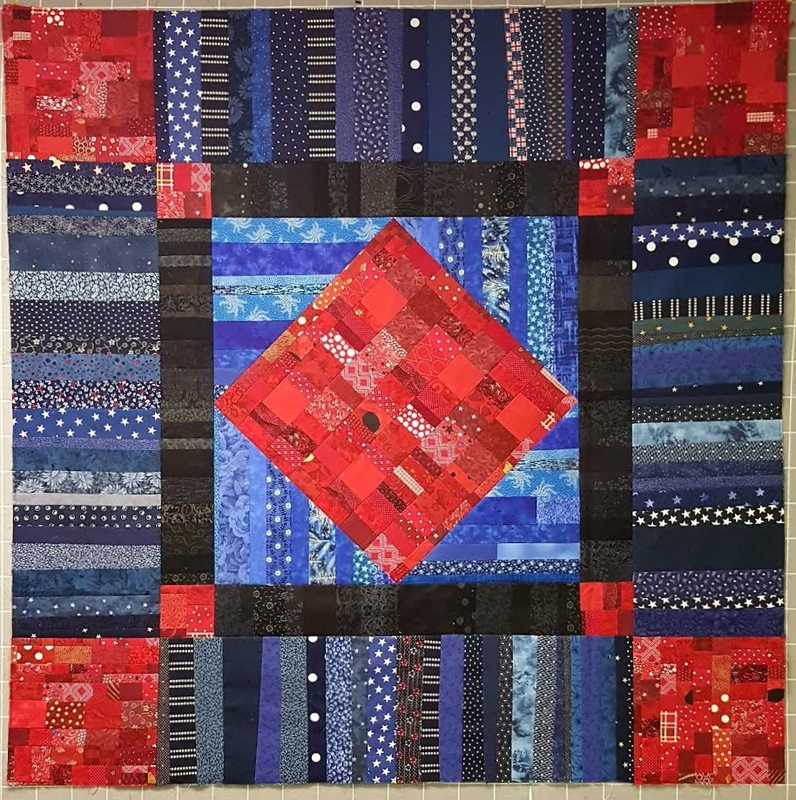 made by the quilters of the first guild I ever joined. 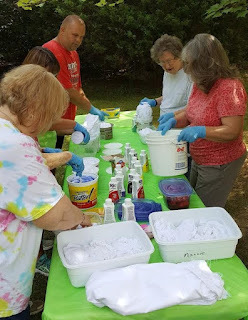 we had a fun day of dying fabric! with dying as it was with most of the other members. It certainly won't be my last! is a good thing for them? 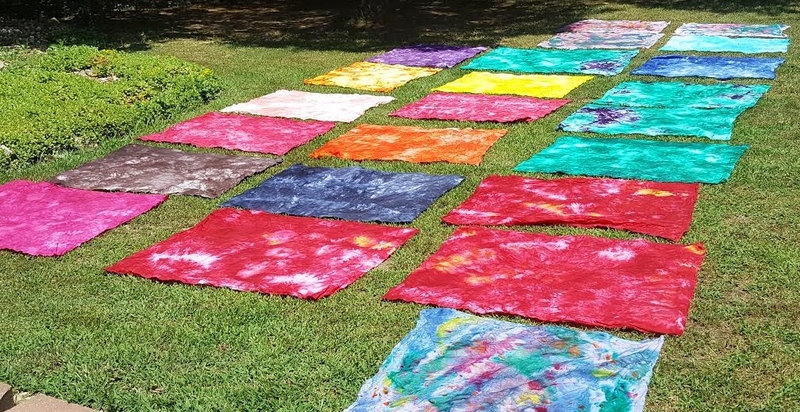 for teaching us how to dye fabric! 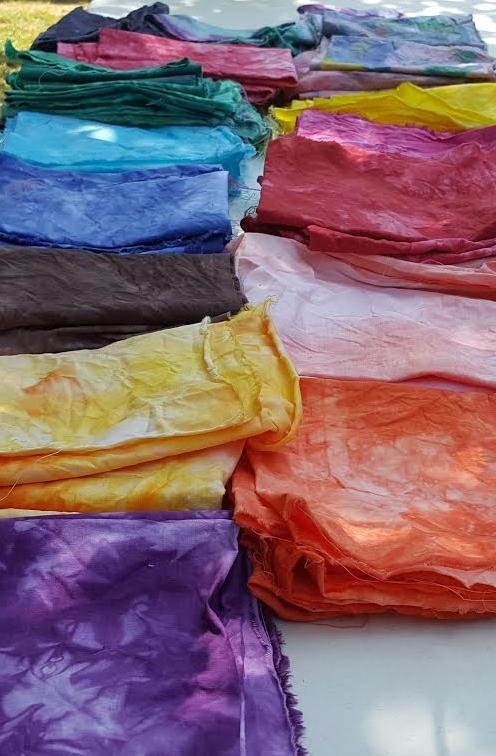 Look at all of the beautiful fabrics we made! We divided them up among ourselves. What a nice addition to all of our stashes of fabrics! I wanted to share with everyone one of the first workshops I am offering. 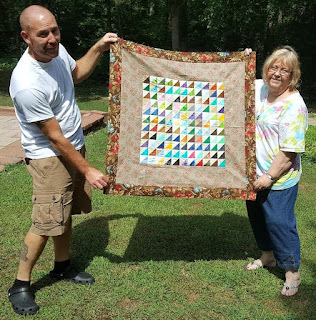 Most quilt guilds have been asking me to teach. 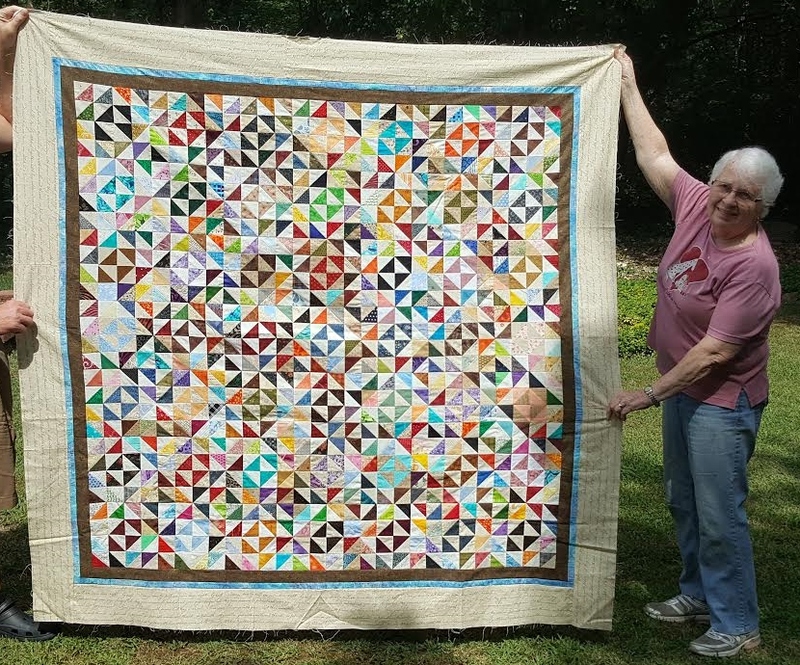 and it was a joy creating this quilt. 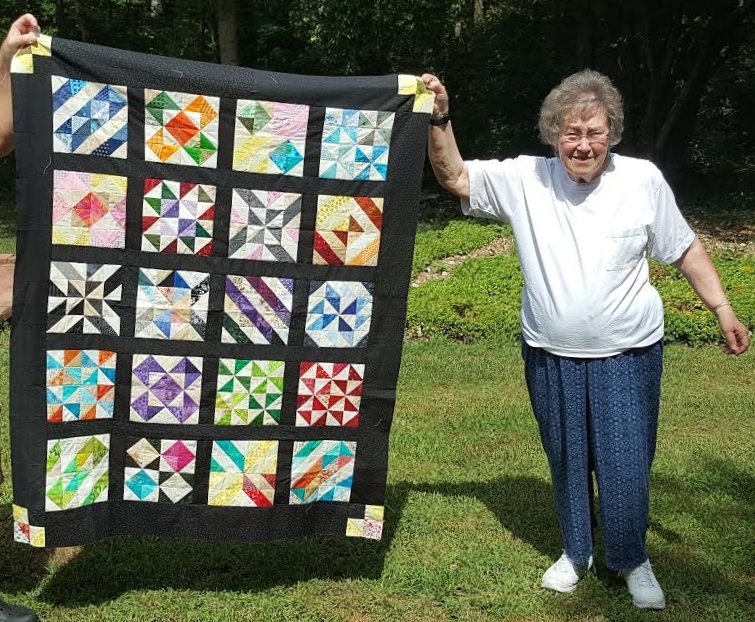 I have long admired Amish quilts for their simplicity of design and piecing in juxtaposition with their intricate quilting. 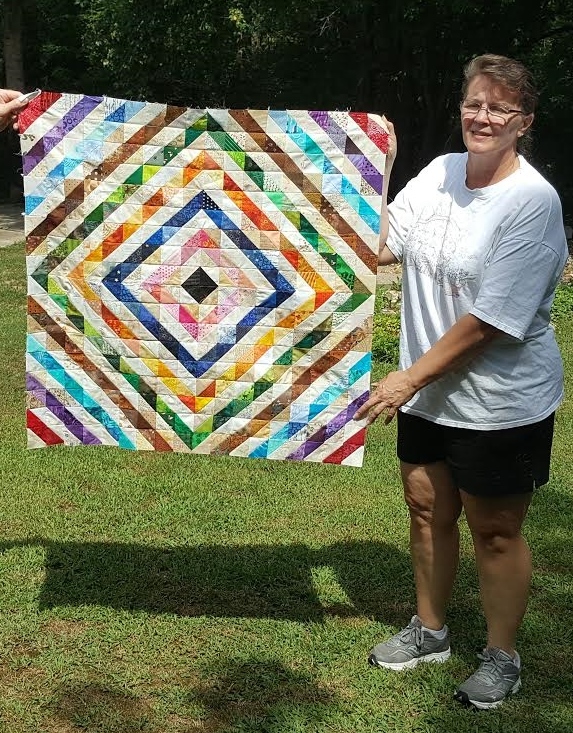 With my workshop, “Sorta, Kinda Amish” we will turn these previously mentioned design elements around by utilizing small scraps to make intricate pieces of fabric for the construction of this quilt. Use up those tiniest of fabric strings and crumbs to make this quilt. Quilting will be up to each individual. Various string piecing techniques along with crumb piecing will be demonstrated in this workshop. 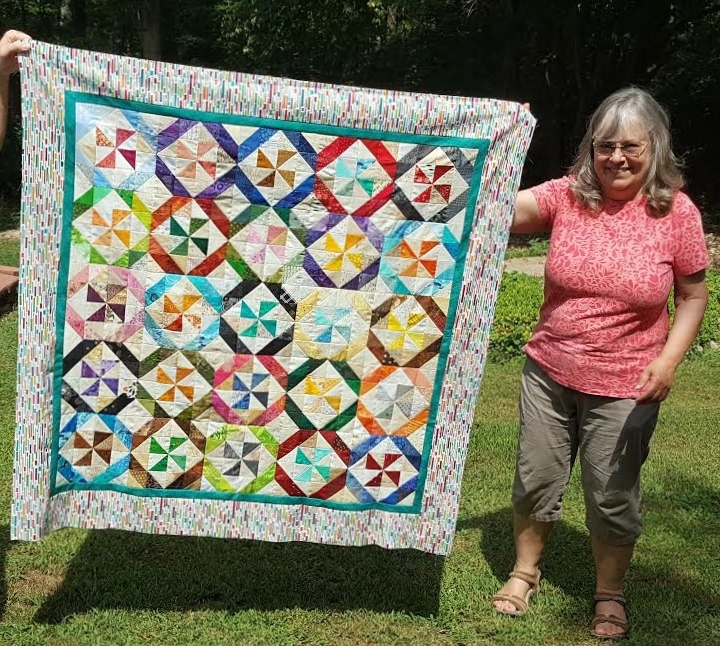 you or your quilt guild would be interested in this workshop? hmmmmmmmmmm......I wonder what it could be? It weighed almost 50 lbs!!!!! 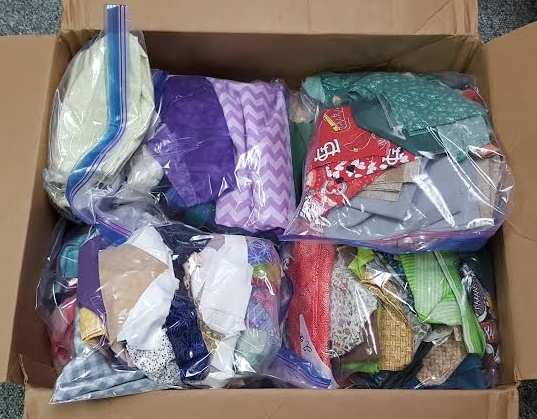 Laura in Illinois sent me this huge lot of scraps! often overlooked pieces of fabric! Your kindness is appreciated so much! 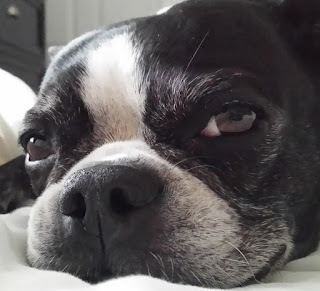 Today would have been my Gracie Lu's 10th birthday. 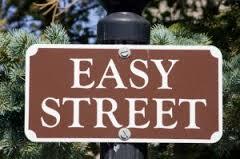 Obviously, this day is not easy for me or my family. much during Gracie's last days here on earth. we wanted to make her a quilt. Her favorite colors are purple and aqua. my heartfelt gratitude to her. She loves her quilt........and I loved making it for her. 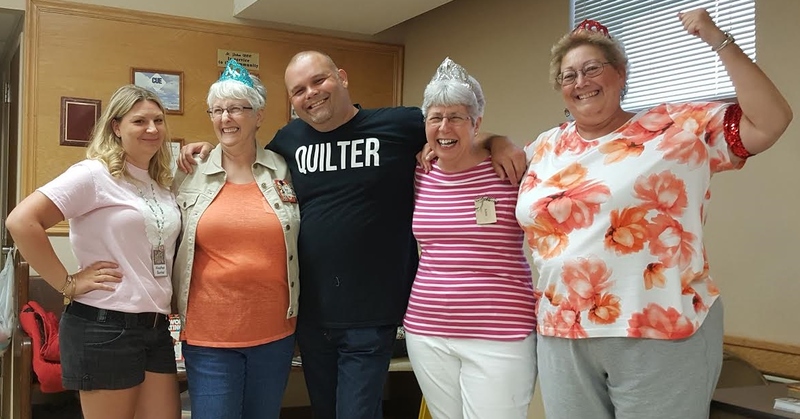 Quilting brings us all together! 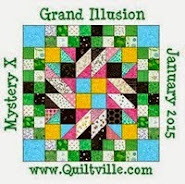 Loved seeing some of the Mystery projects in progress - have seen them on other blogger's sites as well. You have a huge following on this one sweetie. And how fun with the HST exchange - they are all so special and unique. Our furbabies are such great snoopervisors. 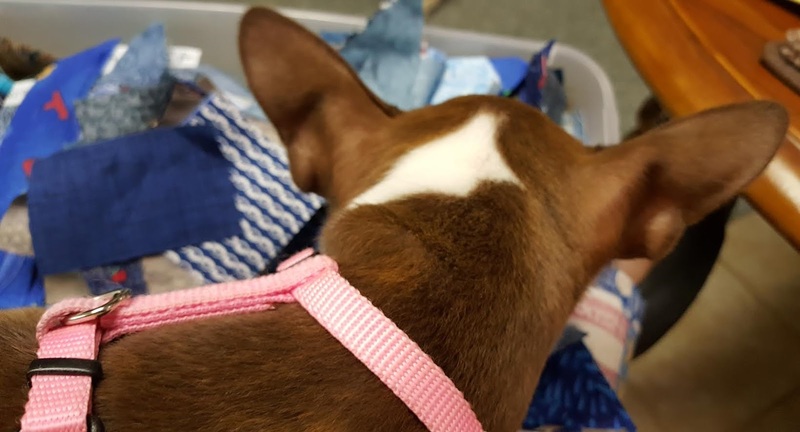 I am in envy of that box of scraps! 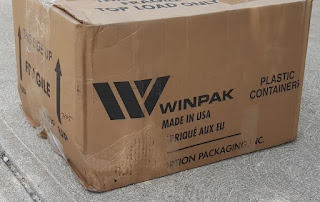 Well I have bags sitting here,too - yet to be opened. My goodness, you got busy! 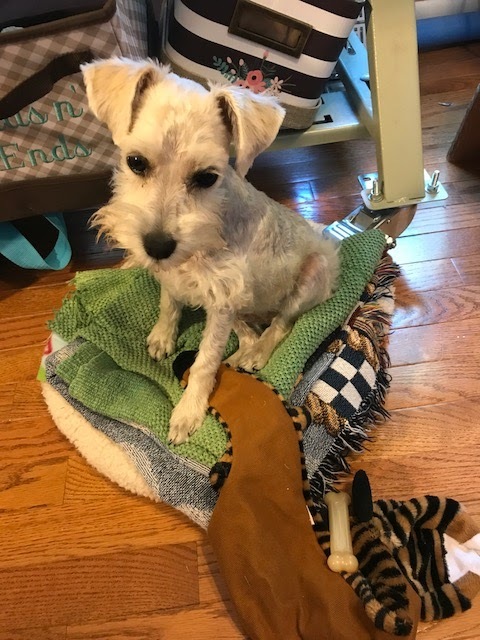 You and Lillie Mae have been getting some really fun goodies! 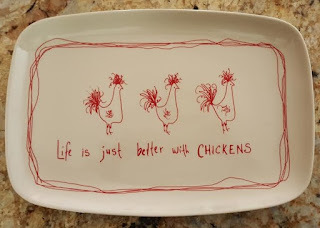 Have fun with those scraps! Owen was so proud to see his picture on your blog. He wanted to sort more fabrics today again. It does look like you will need a helper sooner or later in the quilt cave with all those yummy scraps. Love the doggie pictures. Love, love, love! The HST exchange is precious. I always value our guild swap quilts because I know it may be one of our quilters' last one. I am reminded of each one every time I look at them. Yeah for the cool fabric dyes. I haven't done much of that yet. I think my helper would love that as well. Looks like your mystery is off to a great start. yeah!!! 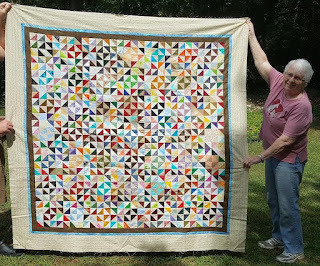 Love the triangle quilts. Such variety and each one a gem! The dyed fabrics look rich and luscious. Sorta, Kinda Amish is wonderful!! 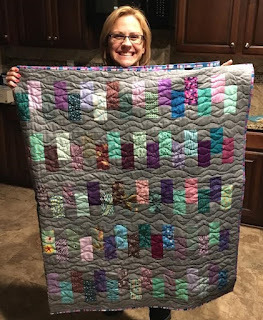 Lovely gesture to make the quilt for Shannon, and in her favorite colors, too. Janet is right, it it surely is a loaded post! You have had a busy few weeks. I love you triangles top. And your Kinda Amish is sensational. 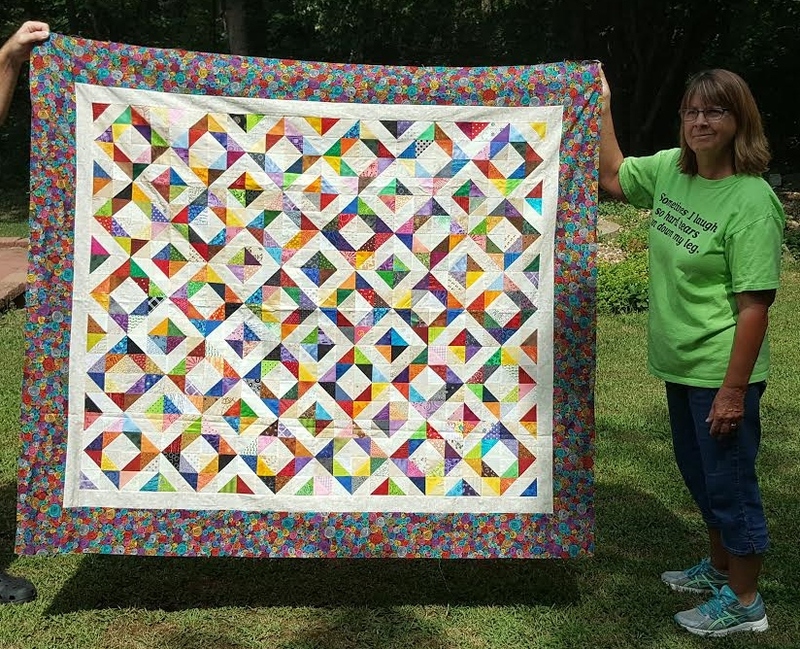 So very clever of you to turn printed scraps into a very Amish looking quilt indeed. I have my first "Sapphire Stars" part done. Woohoo! Now I just have to post it. 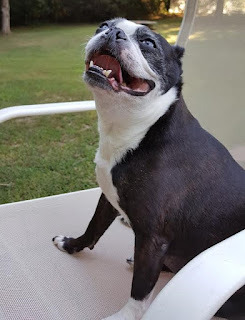 I'm sure Gracie Lu enjoyed her birthday with her new friends across the rainbow bridge. Have a wonderful week and continue to have super fun in the summer sun! 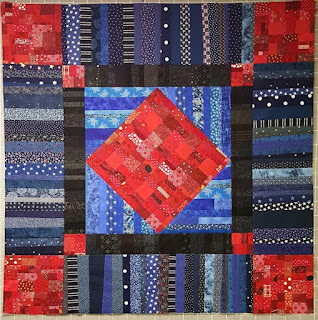 I really liked Susan and Vi's quilts, with the HST's. I'm always on the lookout for ideas for all the HST's, since I have so many from Treadle On exchanges (6.5"). I'm glad you have a class now. I'm hoping my other guild gets you as a speaker sometime. We might have to have you back at Wego, too. I adore you blog post today, Kevin. You are so sweet, and such a great enthusiastic friend. I wish you every blessing from God. 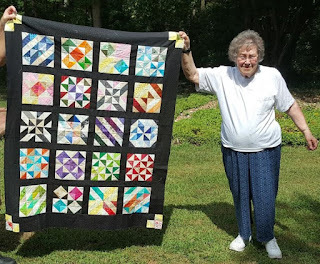 I love the quilts you shared and I like the kinda sorta Amish quilt too. There are some tough days in life, the whole, letting go, letting someone we love have their Heavenly life, and then there are the memories and anniversaries of events. They are always in our heart. They feel like raw scars. We feel like crying again, and remember our own suffering, and then guilt and every other emotion. 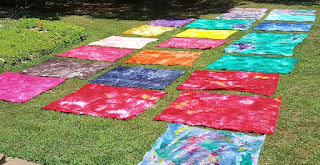 I think fabric dying would be fun. Thank you for always lifting my spirits and encouraging all of us with your adventures with your bunch of friends out there. It is so hot here too. I do not like☀️🔥 summer heat. What a fun and interesting (not to mention colorful) post today! I am saving the clues for your mystery and hope to start my version later in the year (after a bit more time with my studio squirrel abatement program - props to Fern Royce for that awesome term). Wow, lots and lots going on this summer. 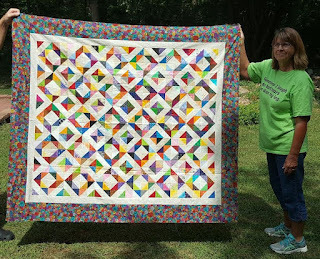 Love the HST quilts and the dyed fabric. Stay cool, no easy feat in those hot humid days in Missouri. 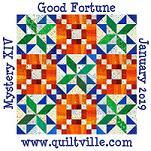 Looking forward to seeing the mystery quilts come together. Kevin, OMG. Are you sure you didn't have anything else to show for this post? Holy Toledo!! 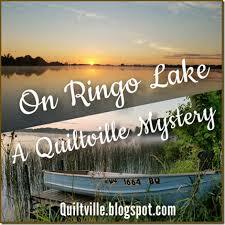 What a newsy and fun filled blog post. I'd love to have you come teach that class. Good for you! And I loved all the other quilts. I'm a little behind (what else is new) on your mystery but I'm optimistic I'll have all the parts done by the time you post the next clue! I love how you bring so many quilters together! I also love, "If you don't like the mystery, then donate it!" 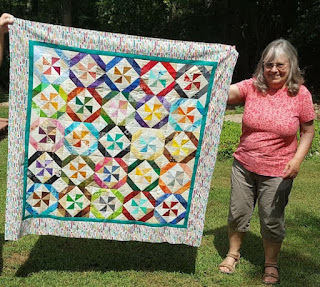 I feel that way about quilts I make and just do not like for one reason or another. I generally give them away! And hopefully learn something along the way.